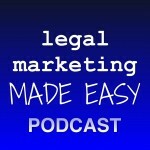 In this weeks episode, I outline the characteristics of SMART goals for your law practice, and share my personal and business goals for 2016. 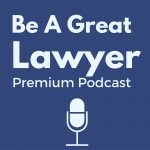 Did you forget to sign up for the Be a Great Lawyer Premium Podcast? 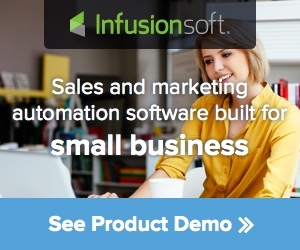 Even though the early bird pricing is over, you can still sign up and receive a 50% discount off the regular pricing. Use the coupon code “10off” now through midnight on December 31st. In addition, you are still eligible to receive the free bonuses as outlined here. My friends over at LeadPages just emailed me to let me know about a ridiculous crazy offer they are giving to new subscribers now through December 31st at midnight ONLY. Specific. You are much more likely to achieve a specific goal than a general goal. To be specific, a goal must answer the 6 “W” questions: Who, What, Where, When, Which and Why. Measurable. A measurable goal is one that lets you know whether you accomplished it. It’s not subjective. When you hit a measurable goal, you can confidently cross it off your list. Attainable. Not all goals are attainable initially. But as you start to work towards them, you gain confidence in knowing that they can be reached. Realistic. A realistic goal must be one that represents and objective that you are both willing and able to work towards. If you don’t want to work towards a goal, it is not a realistic goal. Time-Based. You must set a time limit on a goal to create a sense of urgency to complete it. By doing so, your unconscious mind will begin working towards it.